The wreck of Patris, a paddle steamer that ran aground off the island of Kea in 1868. The government has pledged to back an ambitious scheme by local authorities on the island of Kea to build a state-of-the-art diving center, which will familiarize visitors with its underwater shipwrecks and other treasures. 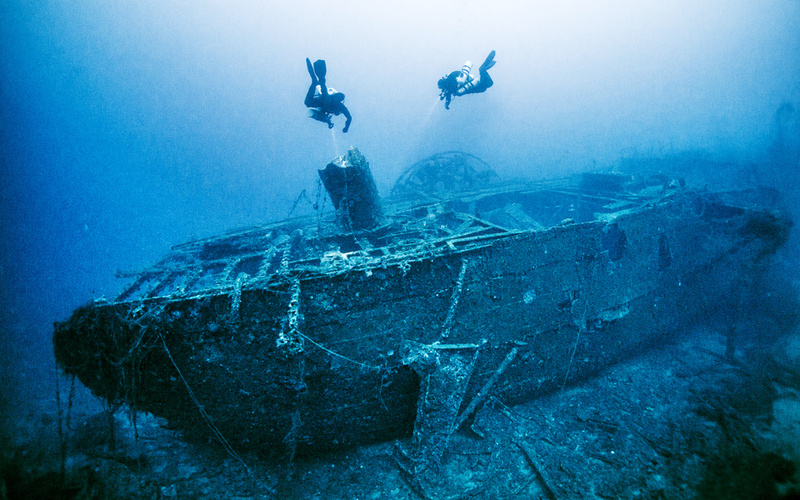 Kea is home to the underwater wreck of a German Junkers 52 aircraft from WWII and two famous shipwrecks – the HMHS Britannic, a sister ship of the Titanic that was sunk during WWI by an underwater mine, and the Patris, a paddle steamer that ran aground off the island in 1868. Quick said the wrecks could become a major draw for visitors. “These underwater treasures of Kea are indeed unique,” he said, adding that, to make the center a reality, it is imperative that the ministries of Tourism, Shipping and Culture work together. “I, for my part, will coordinate the effort so that ministries work together with the island’s mayor,” he said.